Ideal hostel with amaaaaaaazing breakfast and friendly owners and staff.... Very cute and cosey with good atmosphere, easy easy aswell if you want to travel around parati as right next to the bus station. Obrigadddd!!!!!! Pablo, Backpacker's house are some of the friendliest people I have ever met! 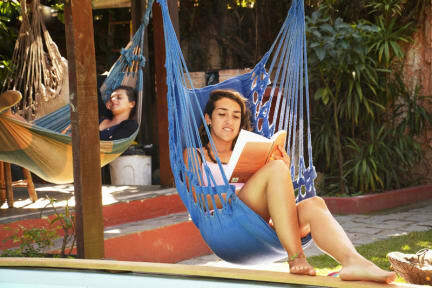 The hostel is great; very well located, less than a 5 minute walk from the bus station, a 1 minute walk away from the supermarket, and a 5 minute walk to the historic centre of Paraty. Breakfast is the best I have ever had in a hostel. 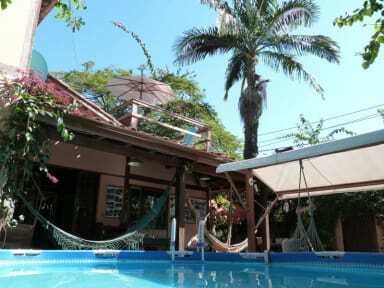 If you want a chilled out vibe, with great people and value for money, Backpacker's House is perfect. Full review on TripAdvisor! Everyone who works there is so friendly and helpful. The place was great just a 10 minute walk to the historic centre and a bus ride away from natural wonders including waterfalls, beaches and natural pools. Would definitely recommend and a bonus is the breakfast is great! Super nette Atmosphäre, bestes Frühstück was ich je in einem Hostel hatte. Great hostel with a lovely vibe and whilst we were there everyone was so social which was nice. Breakfast is AMAZING! So much variety! The bus station and supermarket are so close which was great. The old town was a 5 minute walk away. Plenty of hammocks and relaxing space. The kitchen has plenty of utensils. Overall the place was clean but could have done with a good deep clean. One of the mattresses we had was very uncomfortable but Pablo let us change beds. We would stay here again. Best breakfast in South America! Brilliantly located in the centre of town and opposite a supermarket, short walking distance to the pier. The breakfast has so much choice and Pablo is really friendly and helpful. Our only qualm was perhaps the cleanliness of the bathrooms, could have been slightly better maintenance! But pleasant stay overall. Rooms extremely hot and the air con did not seem to work. Very hard to cool down here other than the swimming pool. Toilets very dirty and were not cleaned during our stay. However the swimming pool was great and the staff were lovely. Atmosphere in the hostel was really nice and chilled out. The breakfast was fantastic, however we don’t think that it should come before bathroom cleanliness!